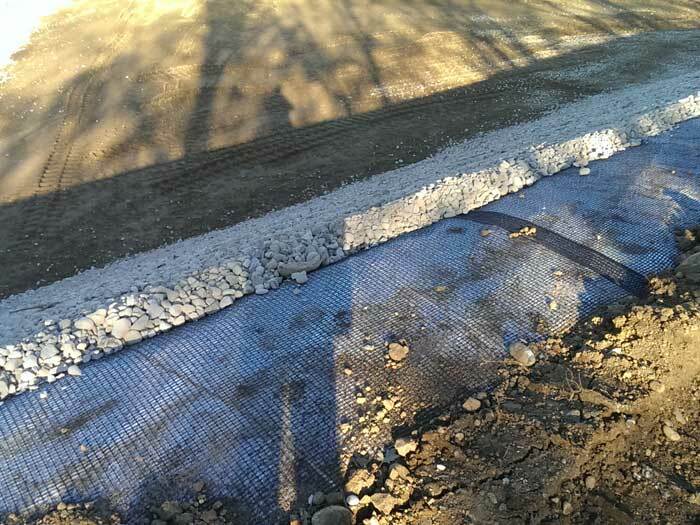 In road construction the nonwoven geotextiles GEO are used as separation layer between base soil and fill material, and as filtration layer whenever finer soil particles may be eroded by the forces of pore water. 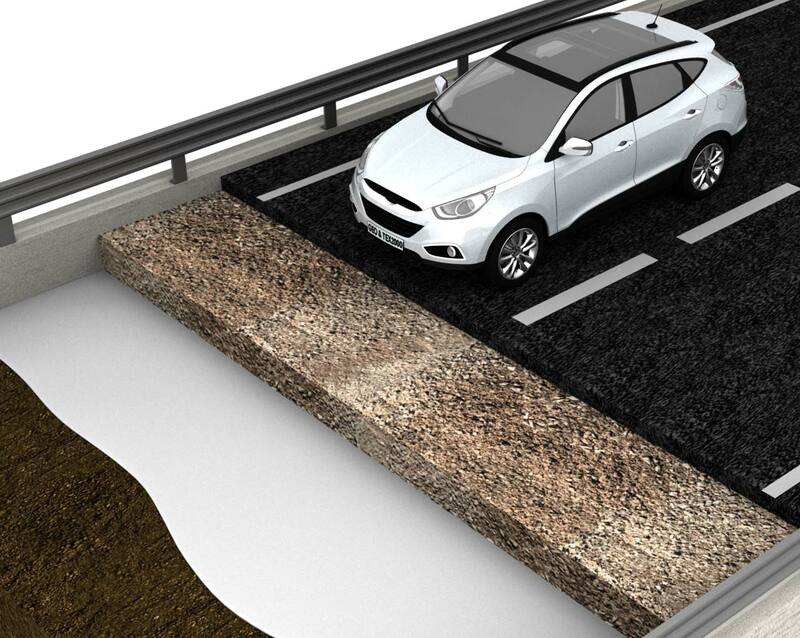 The presence of GEO has a reinforcement effect to the road foundation, which bearing capacity is remarkably improved. 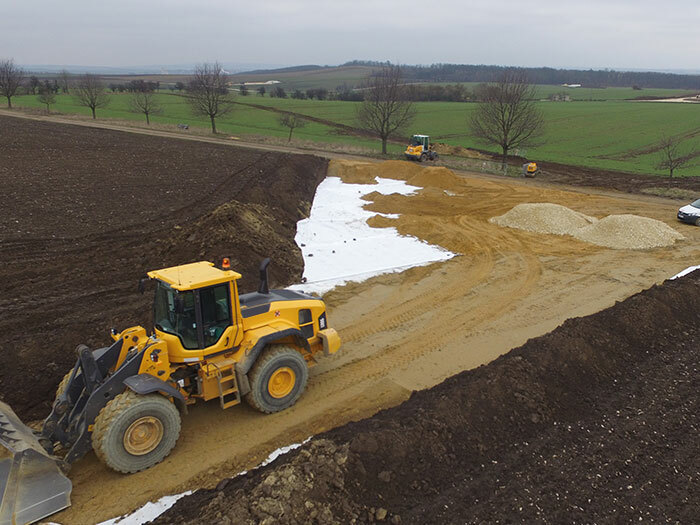 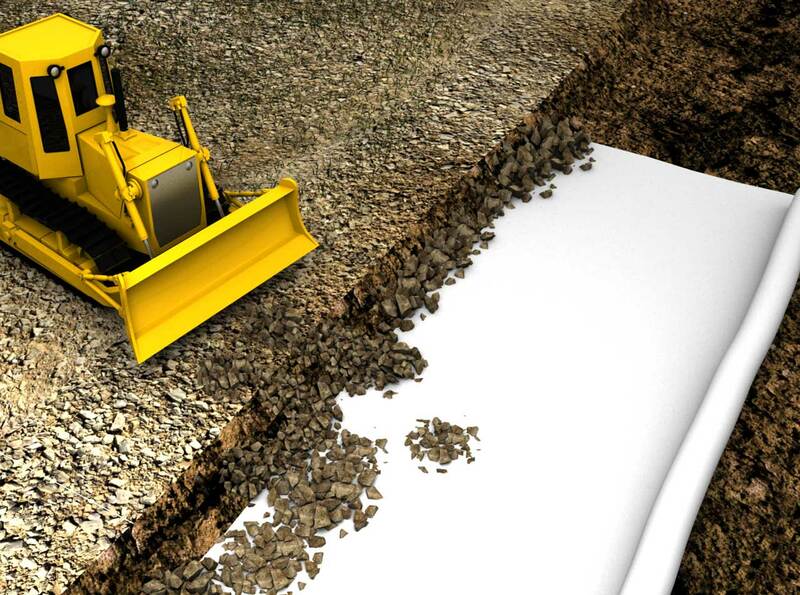 The use of GEO is essential to ensure the full efficiency of road during all its service life, avoiding expensive maintenance operations. 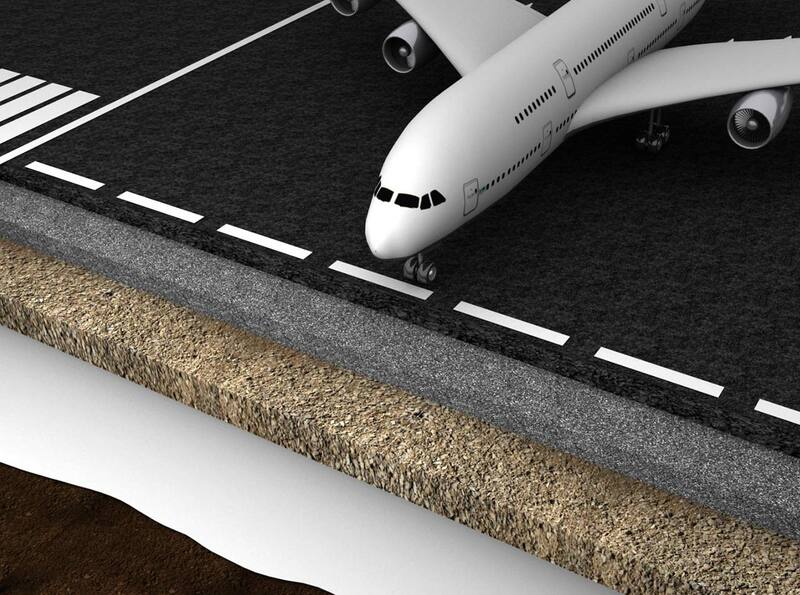 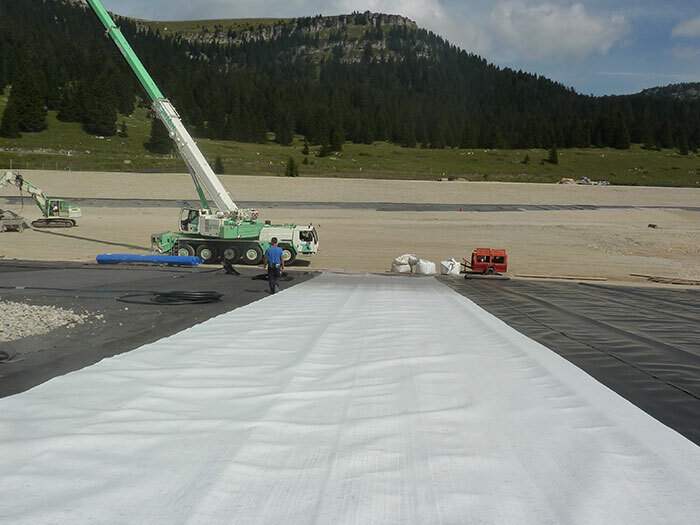 In the construction of airport pavements, the mechanical performances of the backfill layers must be guaranteed for the designed lifetime: the nonwoven geotextiles GEO, used as filtration and separation layer, prevent the mixing between the fill material and the fine particles of subsoil. 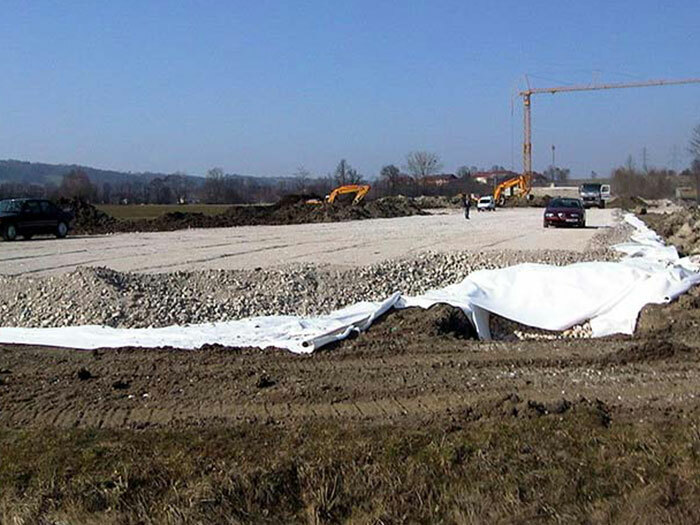 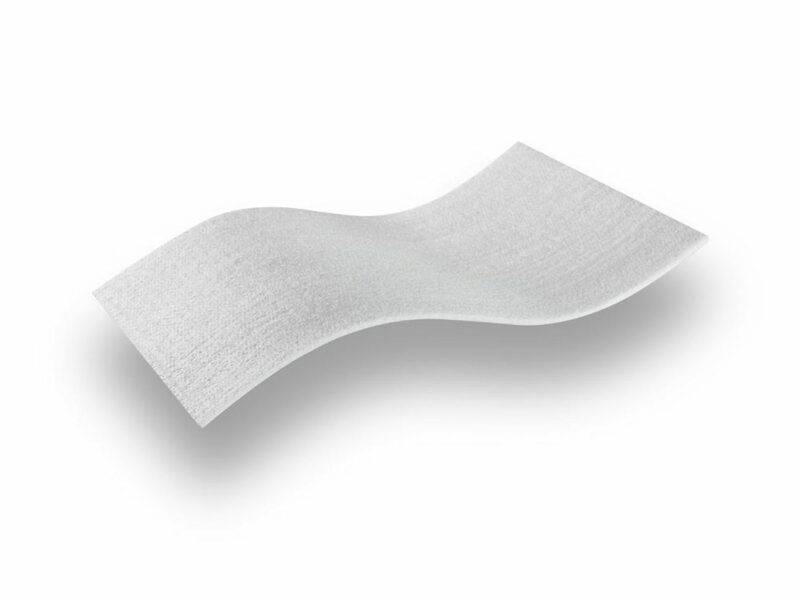 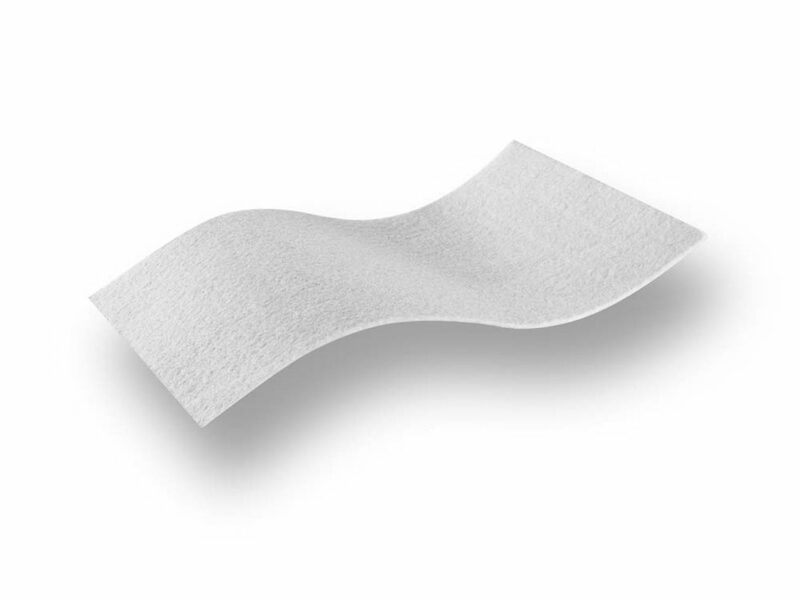 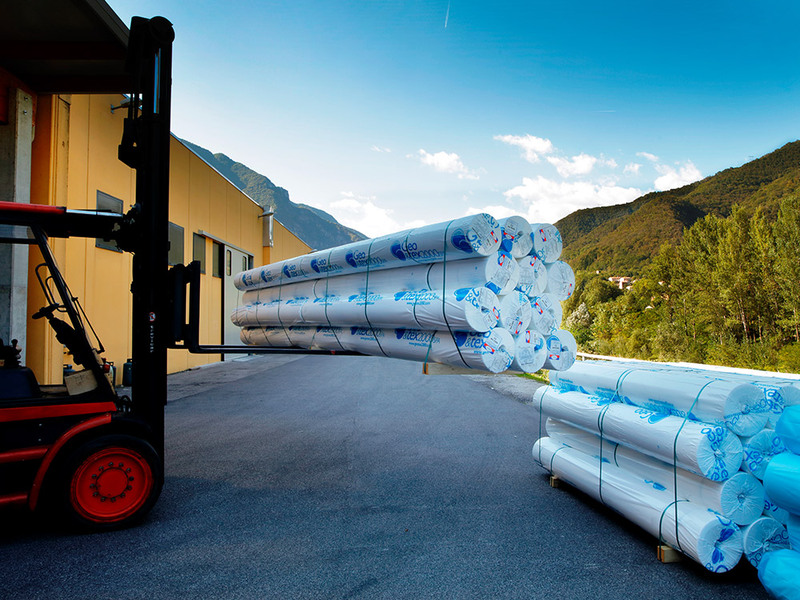 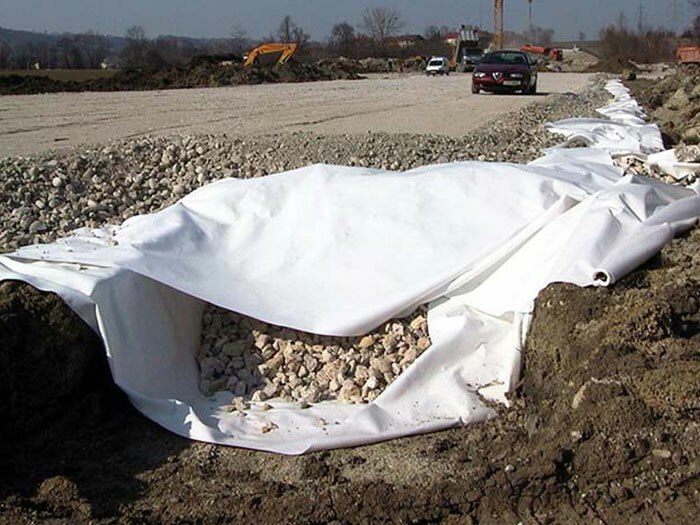 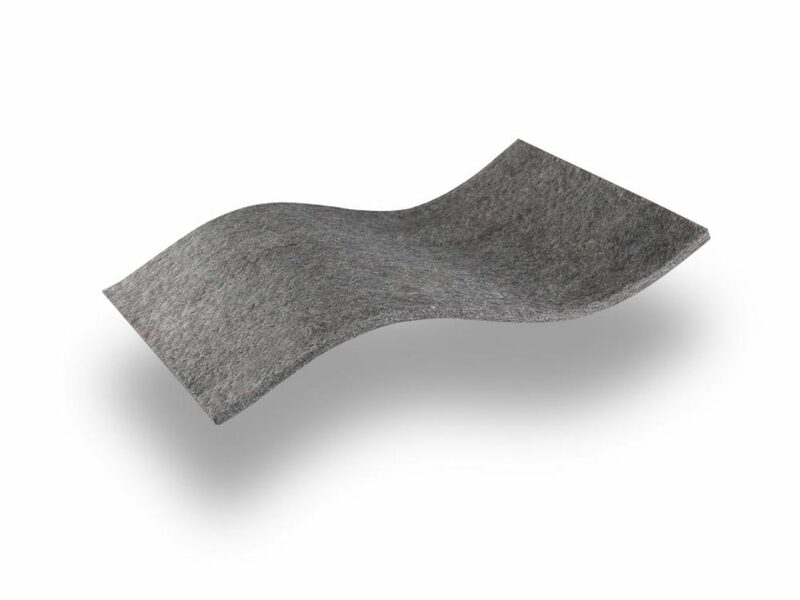 In the construction of solid waste disposal sites or liquid waste containment sites, the nonwoven geotextiles GEO are used for protecting the waterproofing membranes against the risk of mechanical damage caused by the contact with the draining aggregates or rough surfaces, especially under high contact pressure. 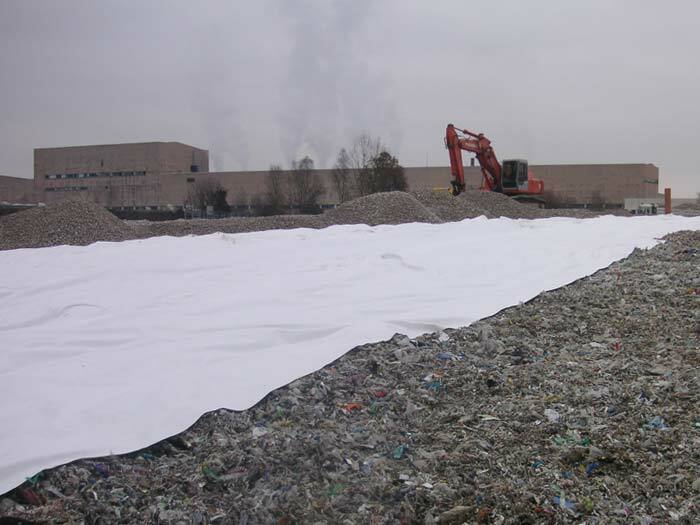 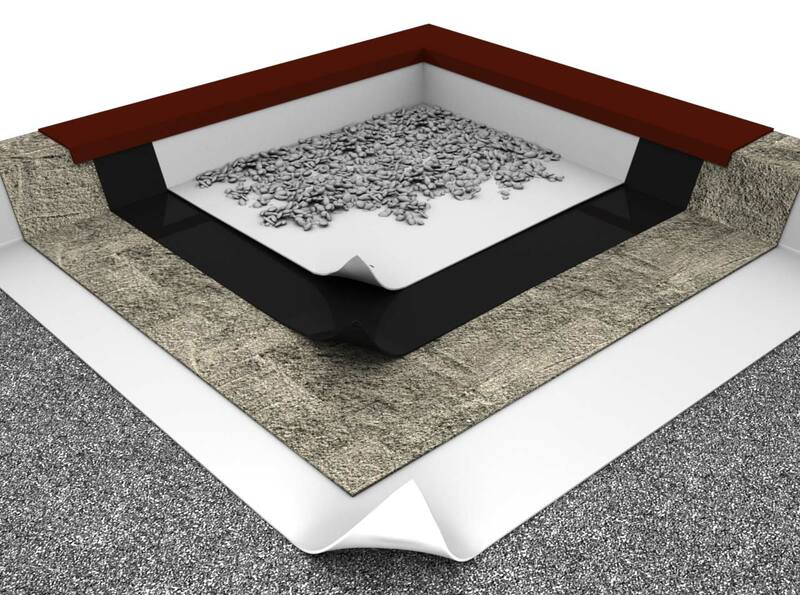 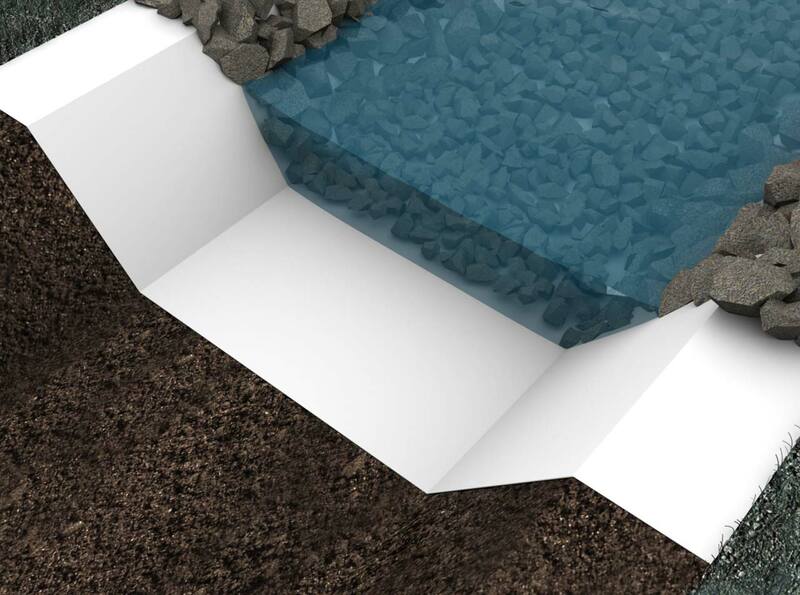 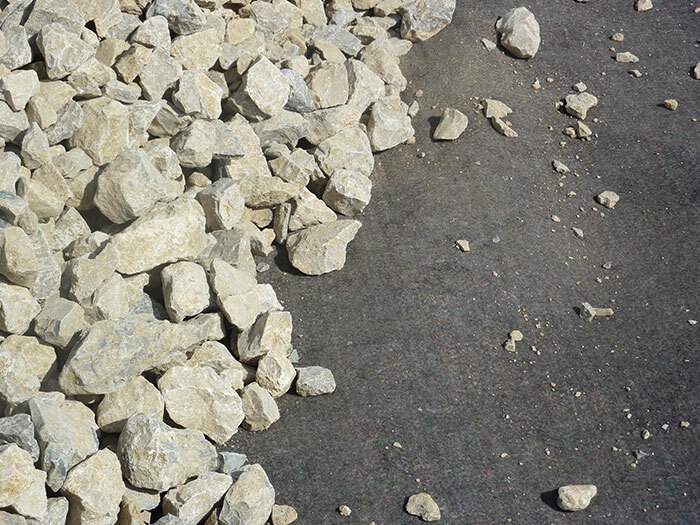 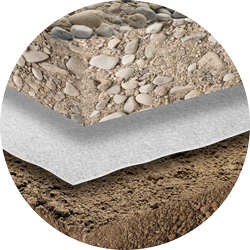 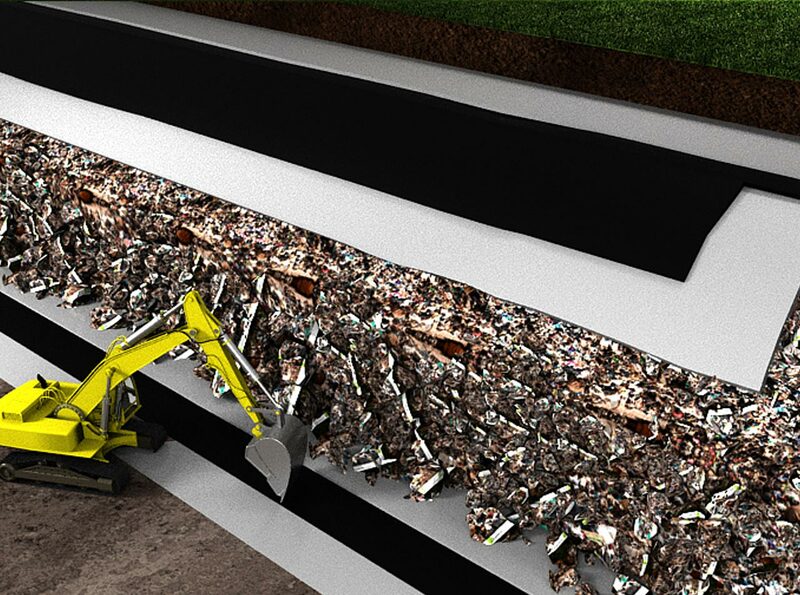 In the capping of landfills, the nonwoven geotextiles GEO can be used as separator and filtration layers between the top covering soil and the drainage gravel layer. 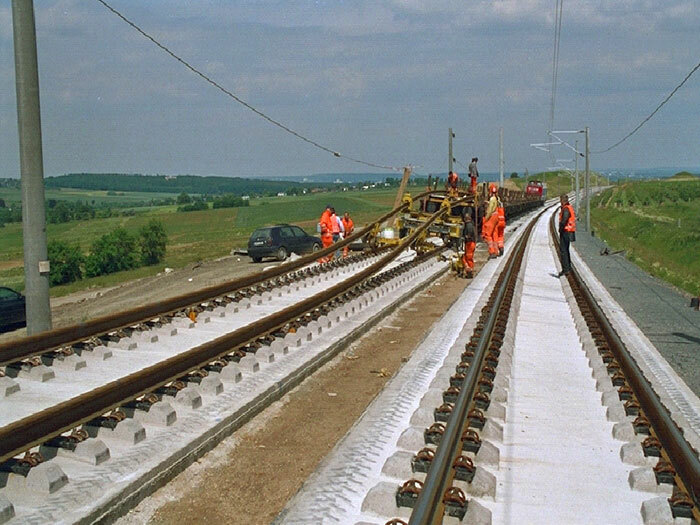 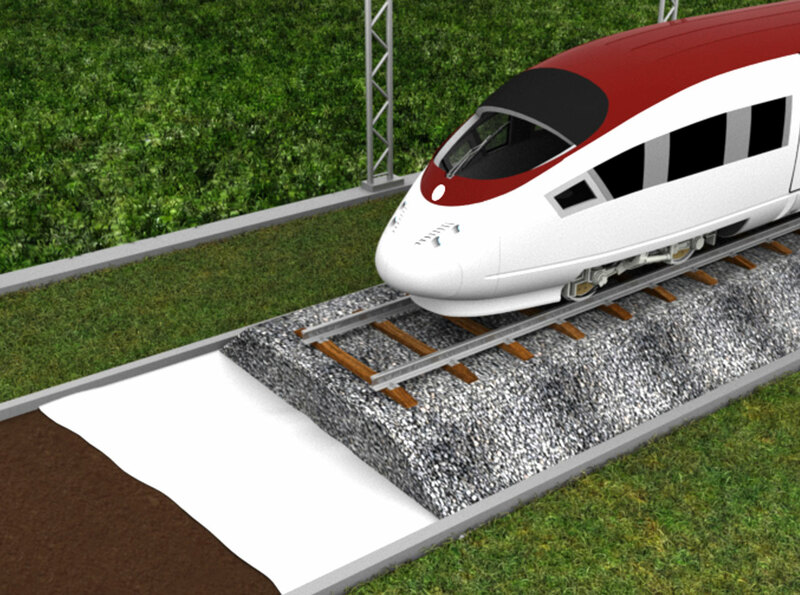 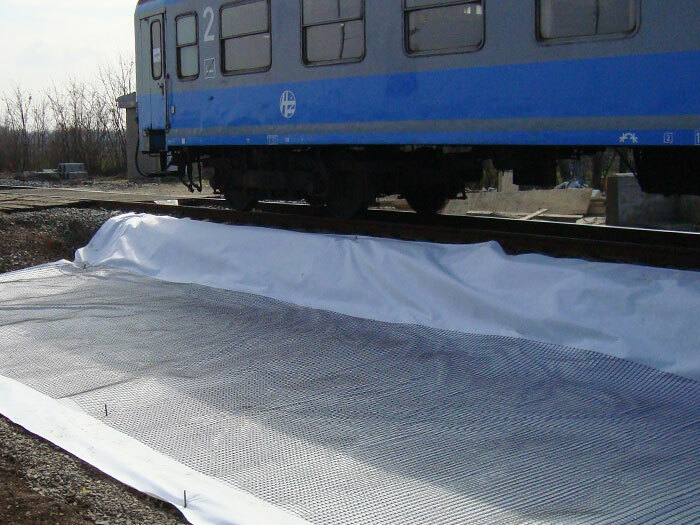 In the construction or renewing works of railways, the nonwoven geotextiles GEO are used as separation and filtration layer, preventing the contamination of ballast with the fine soil dragged up by hydraulic gradients in the subsoil. 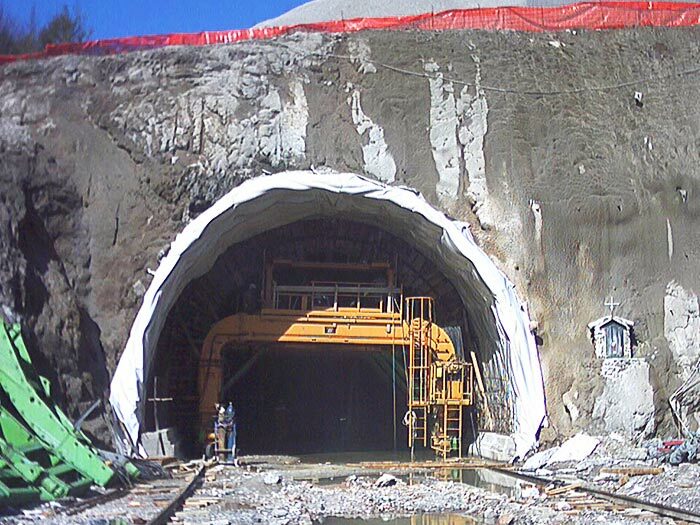 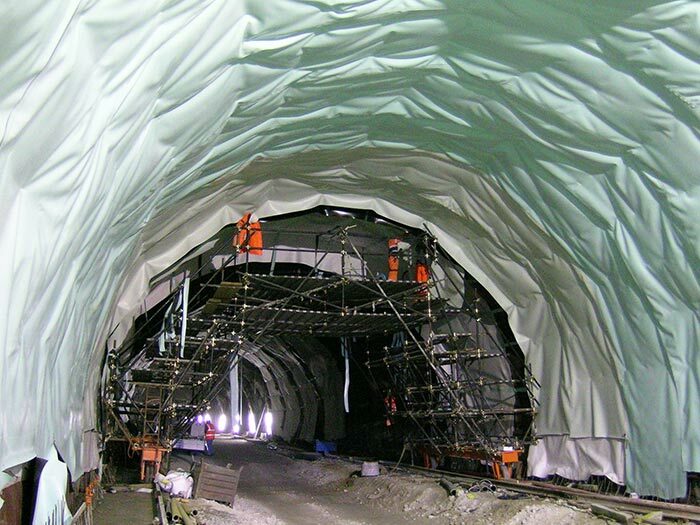 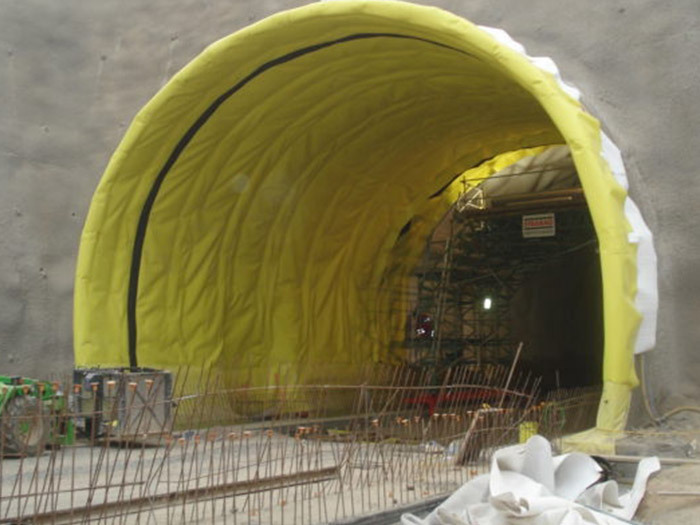 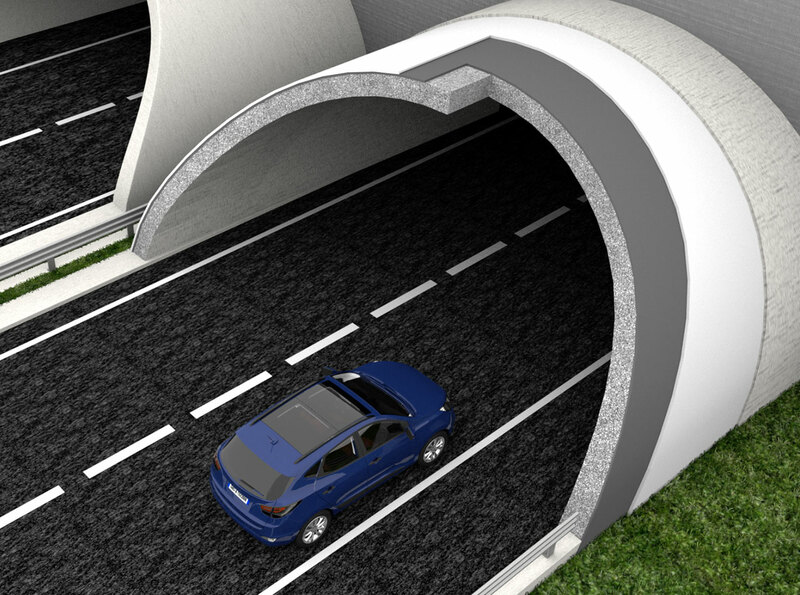 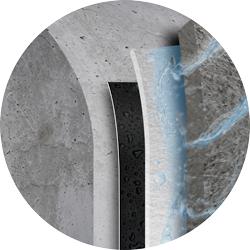 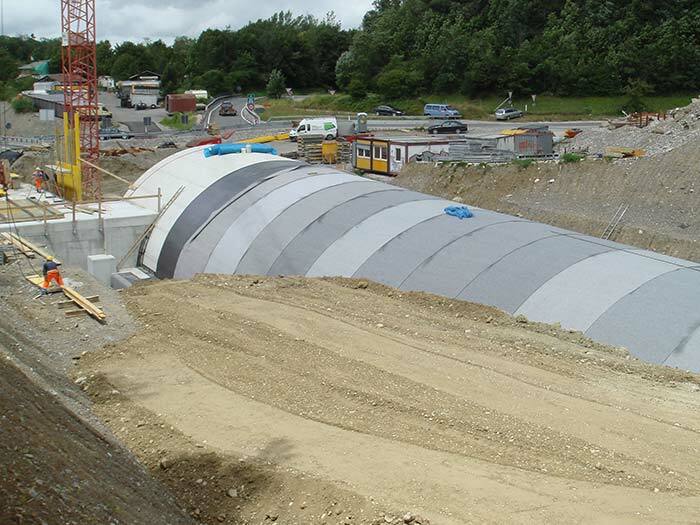 In the construction of tunnels the nonwoven geotextiles GEO are installed together with the waterproofing geomembranes, separating them from the direct contact with the concrete surfaces, and, in this way, protecting them from the damaging by abrasion or puncturing action. 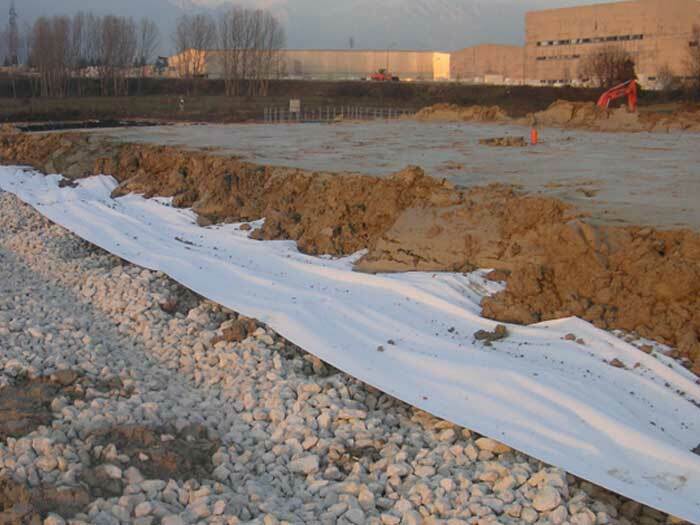 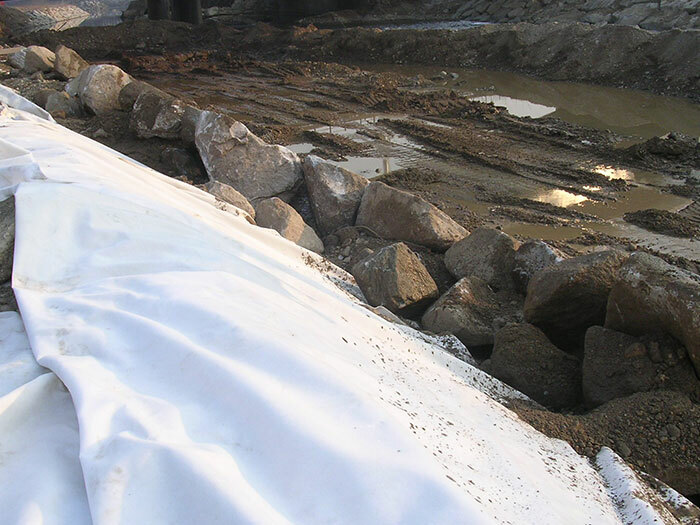 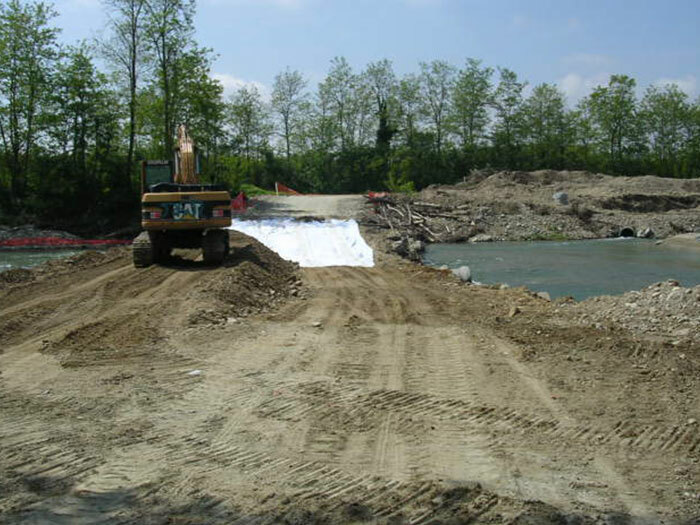 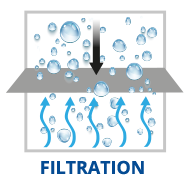 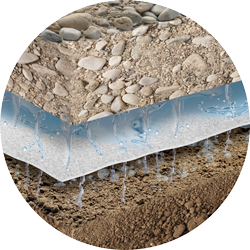 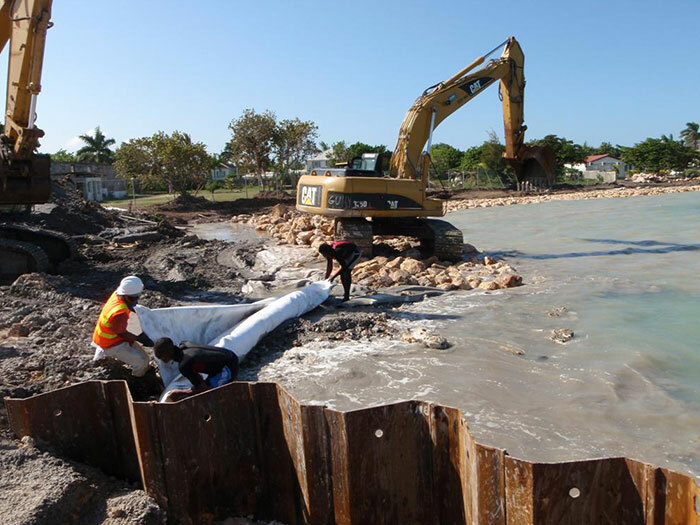 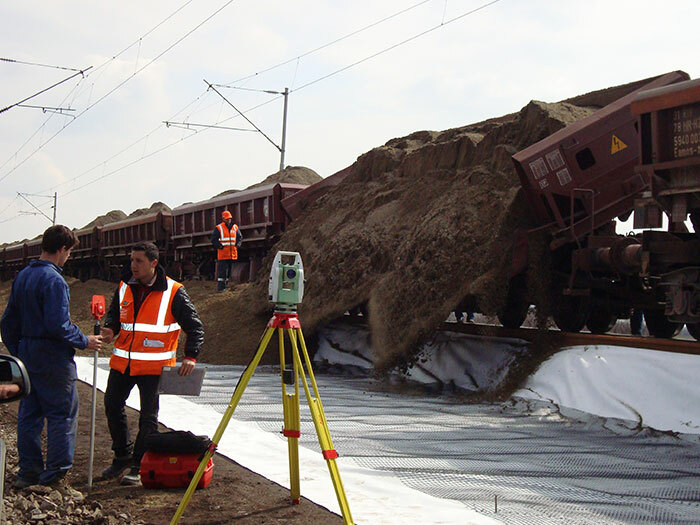 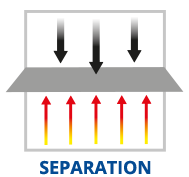 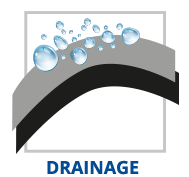 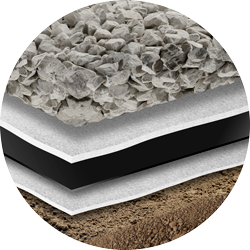 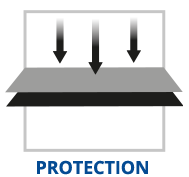 The nonwoven geotextiles GEO can also perform a drainage function of seepage water. 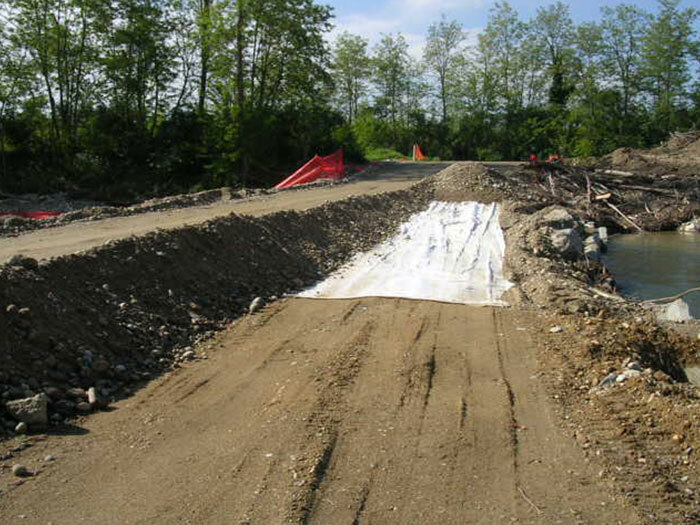 In the construction of temporary job site access roads, the nonwoven geotextiles GEO are used as separation and filtration layer between the subsoil and the filling material layers: in this way the operating machines can enter the job site even in case of soft and saturated subsoil. 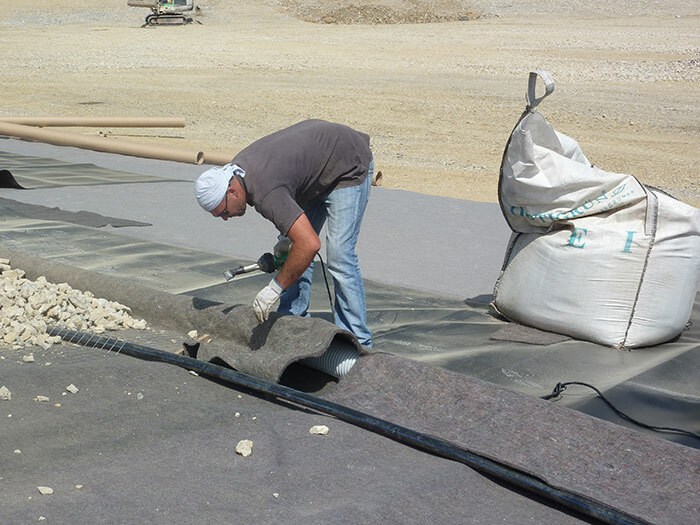 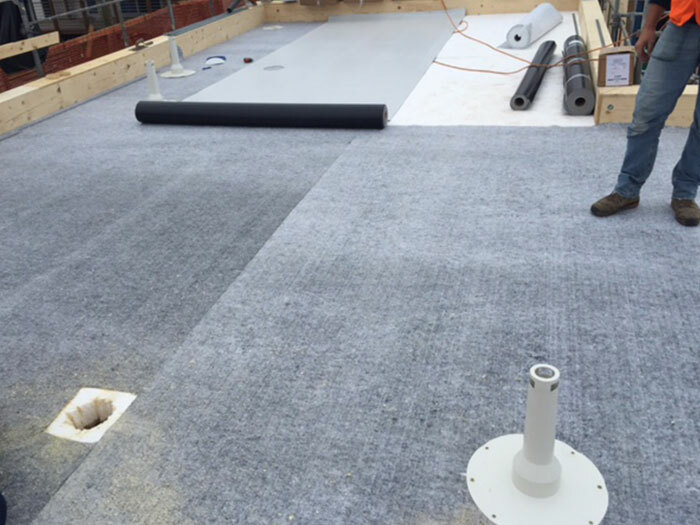 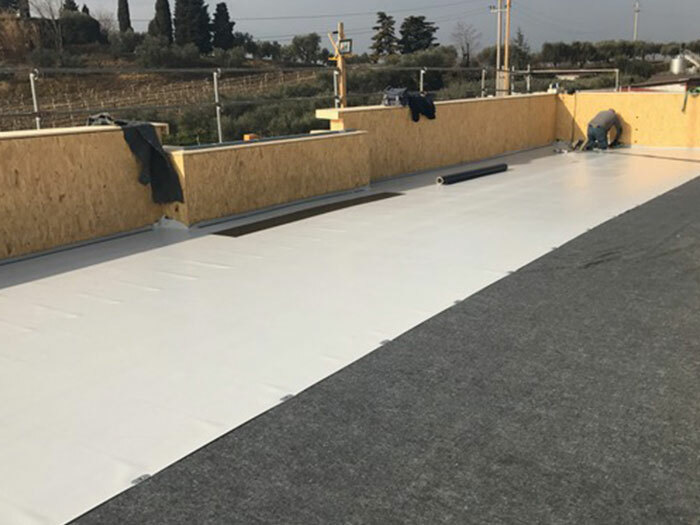 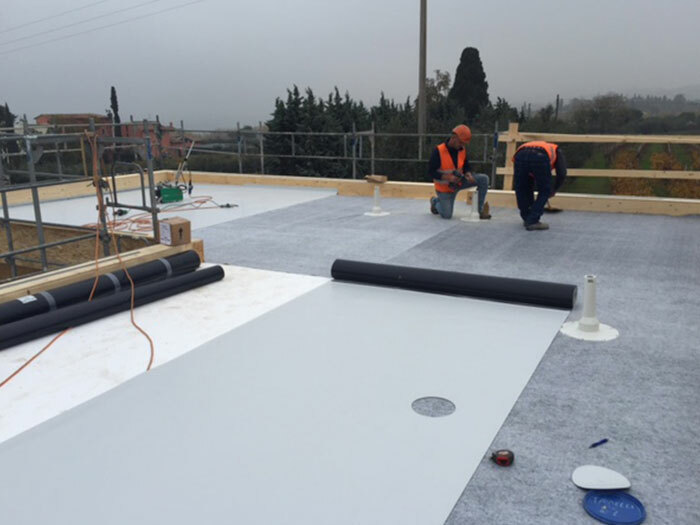 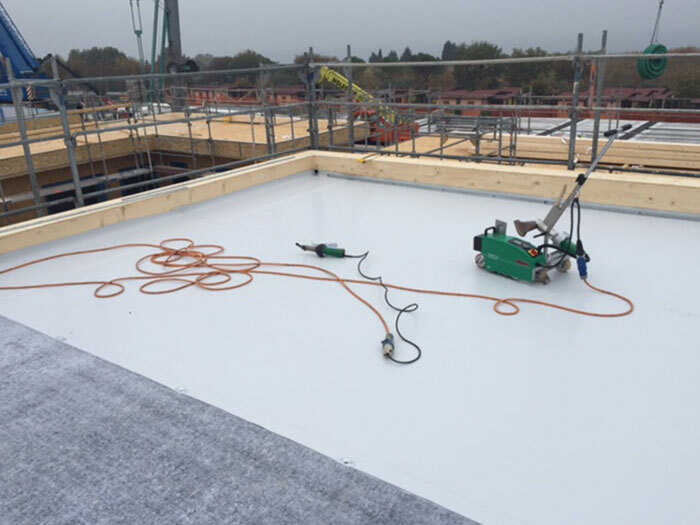 In the civil and industrial roofing, the nonwoven geotextiles GEO are used as protection interlayer, to avoid the damaging of waterproofing membranes caused by the contact with irregular rough surfaces. 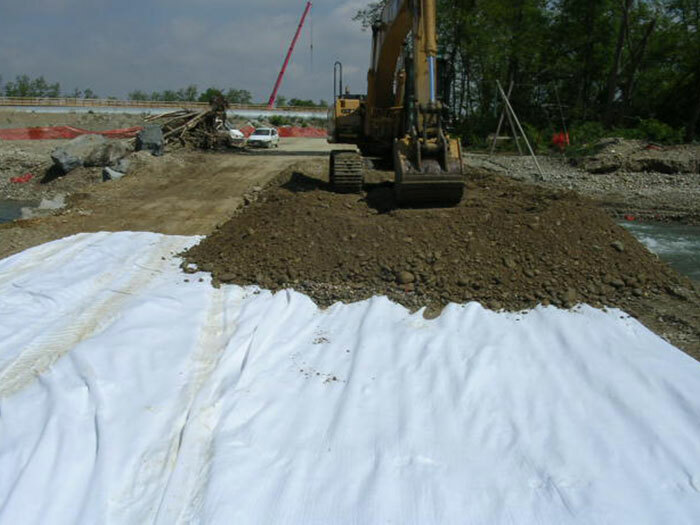 In the erosion control works, the nonwoven geotextiles GEO are used as separation and filtration layer: they can be easily installed following the contour of the soil to be protected against erosion, and in this way they prevent the fine soil particles to be dragged by hydraulic gradients. 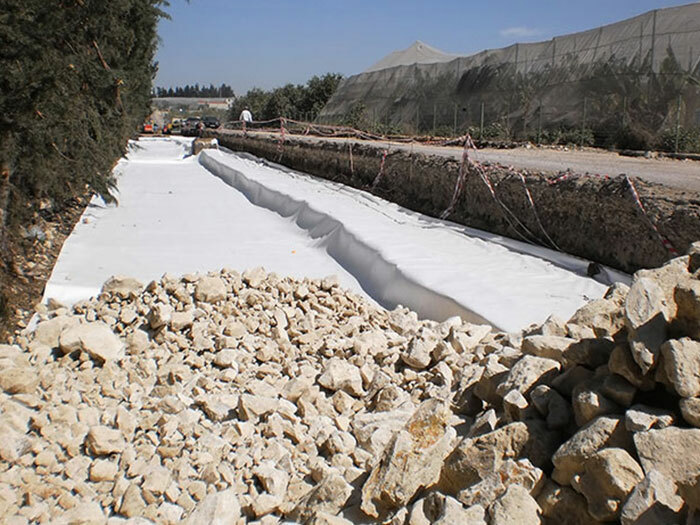 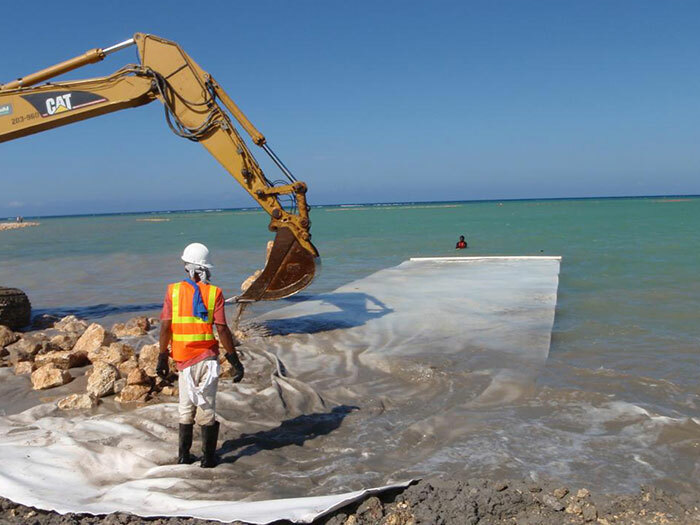 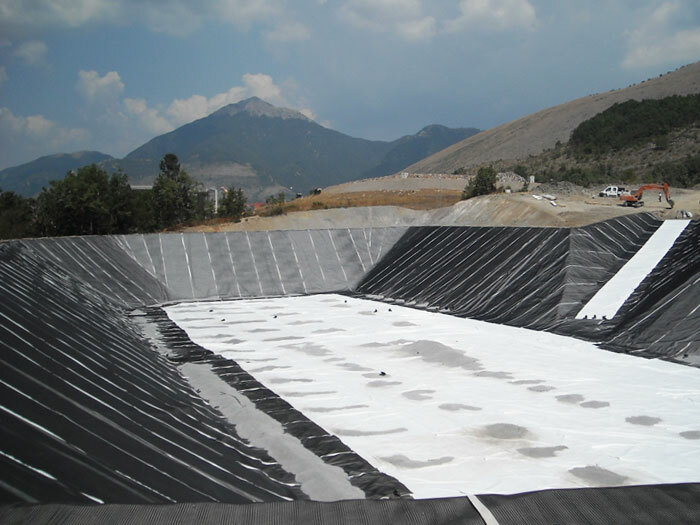 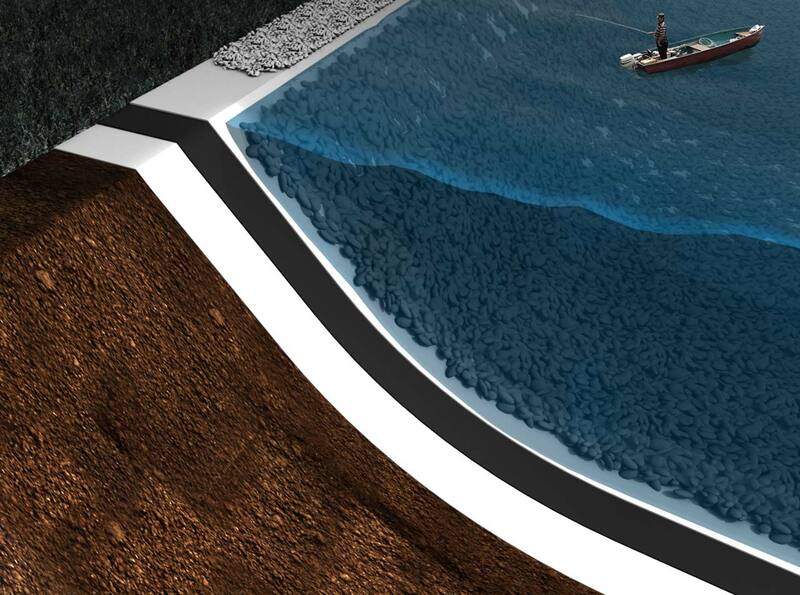 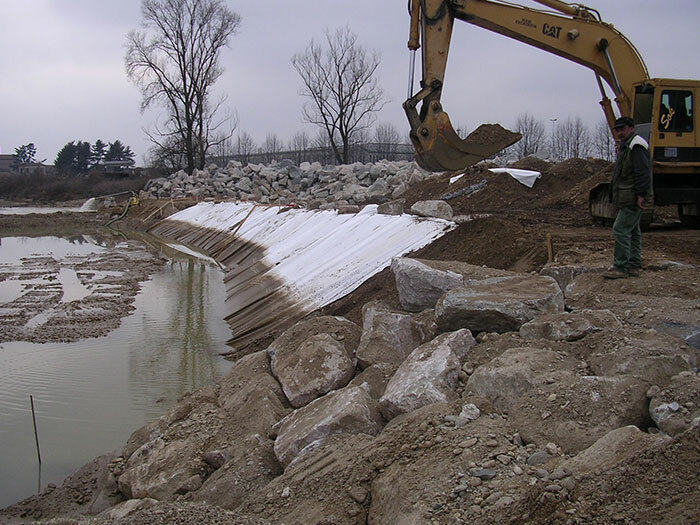 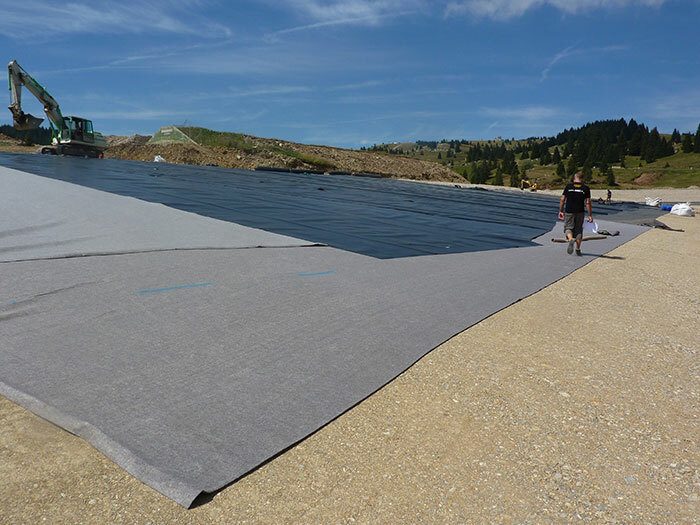 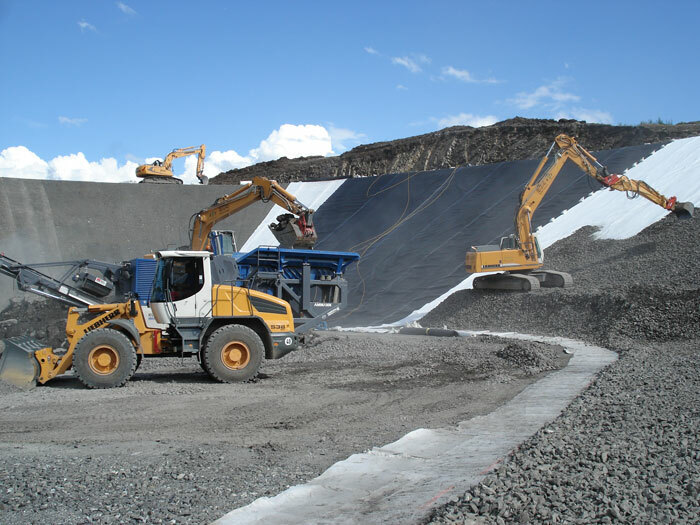 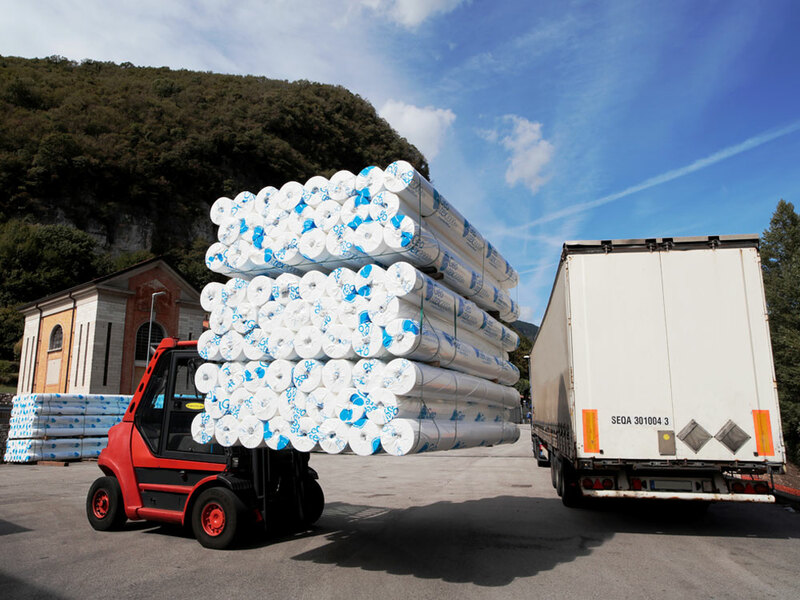 In the building of reservoirs and dams, the nonwoven geotextiles GEO can be used both as protection layer for waterproofing geomembranes, preventing the damaging caused by the contact with irregular surfaces, and as separation and filtration layer in the earthworks.